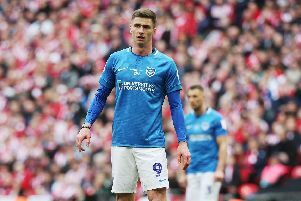 Pompey are one of three clubs weighing a move for Cardiff defender Ryan Pryce this summer, according to HITC Sport. Championship outfit Hull and the Blues’ League One rivals Fleetwood are also reportedly interested in the 20-year-old full-back. Pryce has failed to make a single appearance for Neil Warnock’s side in the Premier League since joining last summer. But the attacking full-back is a regular for the club’s under-23s. The 20-year-old made the move to the Bluebirds from Welsh Premier League side The New Saints. That came after the defender had impressed several English top-flight clubs at Jamie Vardy V9 academy trials. But Pryce is out of contract this summer and is waiting to see whether Cardiff will offer him a new deal. However, several Football League clubs are believed to be monitoring the situation – and he could be a free agent should he leave the Bluebirds at the end of the season.